Cost is $125.00 and includes the following for each golfer: green fees, cart fees, practice balls, tournament services, a box lunch with soft drink, and a Barbecue Buffet at the post-tournament Awards Get Together. For more information please contact Dennis Goebel at dennisg@cos.edu. $3000.00 Corporate Sponsor – 2-Foursome tournament fee, acknowledgement of your name and/or company and logo displayed on the FWATA web page, a banner prominently displayed at the golf tournament as well as the convention golf booth, your name/company information included in the Symposium Packet, and recognition at the scholarship banquet. $3000.00 Corporate Sponsor – All proceeds go directly into the scholarship fund. $1500.00 Title Sponsor – Foursome tournament fee, acknowledgement of your name and/or company and logo displayed prominently on a sign at the golf tournament as well as the convention golf booth, your name/company information included in the Symposium Packet, and recognition at the scholarship banquet. $1500.00 Title Sponsor – All proceeds go directly into the scholarship fund. $500.00 Tournament Sponsor – Two golfers’ fee, acknowledgement of your name and/or company and logo displayed prominently on a poster displayed at the golf tournament as well as the convention golf booth, your name/company information included in the Symposium Packet, and recognition at the scholarship banquet. $500.00 Tournament Sponsor – All proceeds go directly into the scholarship fund. $_____ Cash Donation – All proceeds go directly into the scholarship fund. $100.00 TEE Sponsor – Your name and/or company and logo prominently displayed on a sign at the golf tournament. 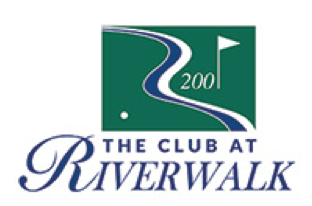 $125.00 Golfer Green Fee – Which includes Range Balls, Shared Cart, Box Lunch, Appetizers Buffet after the tournament, Drink Tickets, Golfer Gift Package, Prizes. $______ Product Sponsor – Items that would help enhance the quality of the tournament by making it an enjoyable experience. Place contact to me directly to discuss the way in which we will acknowledge your donation. I would like to thank you for considering the opportunity to collaborate with our association for raising scholarship funds. Portions or all of the proceeds are tax deductible. I will supply donation (50% deductible) or advertising (100% deductible) receipt, which will include our Federal Tax ID Number 77-0053637. If you have any questions regarding our association, our fund management policy or the golf tournament itself, please feel free to contact me at dennisg@cos.edu or 559-287-4190 (mobile number) or 559-737-6200 (office number).